Seoul-based BiLab is a start-up that develops and produces non-invasive continuous monitoring medical devices of cardiopulmonary functions using electrical impedance tomography (EIT) for hypoventilation, hemodynamics, and sleep apnea diagnostics, among other functions. “5 billion people in the world don’t have access to safe surgery,” as reported by The Lancet in their Global Surgery Report 2030. While patient outcomes in surgery have improved over the past decade - driven by better materials, implant designs, and surgical techniques - major obstacles remain to be addressed. Surgical patients still experience major discrepancies in success, including a 20-40% rate of failed back surgery syndrome (FBSS) according to the NCBI. And with a rapidly aging world population - expected to grow from just over 900 million to nearly 1.5 billion between 2015 and 2030 according to Forbes– the stakes are higher than ever before. Inconsistencies in surgical training and high rates of burnout among orthopedic surgeons are some of the factors contributing to variations in patients outcomes. At the same time, the high financial burden of associated with pre-, intra-, and post-surgery are being compounded by rising patient demand. The current model is unsustainable as analyzed in the Projection of Surgical Loads of Hip and Knee report. Fortunately, tremendous opportunity awaits. Advancing technology can lead the industry to drastic improvements, a digital ecosystem where technologies enhance surgical performance, help educate surgeons, and guide patients through to full recovery. This digital ecosystem will amplify the surgeon’s ability through personalization, automation, and improved procedural efficiency throughout the continuum of care so that we reduce variability and help improve outcomes. The potential of digitally enabled technologies is significant, but we believe that existing solutions are not optimal especially in the area of robotics. Current robotics are large and complicated; they slow procedures down without improving accuracy; they require dedicated support, intensive training and cannot easily be shared between operating rooms or surgeons. 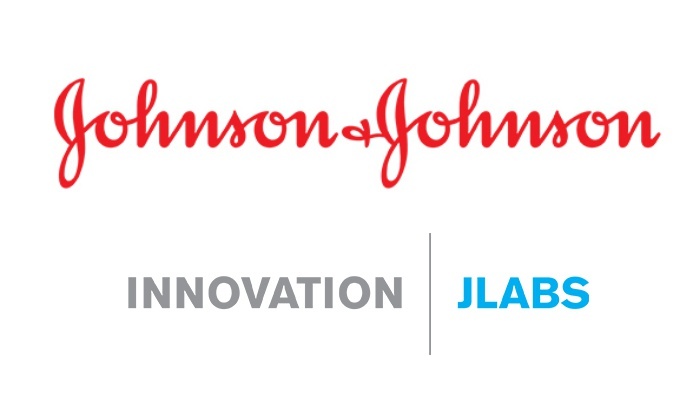 That’s why Johnson & Johnson Medical Korea Ltd. in collaboration with Seoul Metropolitan Government (SMG) and Korea Health Industry Development Institute (KHIDI) are launching the Seoul Innovation QuickFire Challenge: Robotics & Digital Surgery. Up to two winning robotics and surgical solutions will receive up to KRW 150,000,000 (~$134,000)*, entrance to the Seoul Bio Hub, one year of mentorship and coaching, and access to the JLABS global entrepreneurial community. A: Make sure your browser is up to date and accepting cookies. You can contact customer service at [email protected] / if you are having technical difficulties as well. Q: For prizes involving residency at Seoul Bio Hub, what does that entail? A: For this challenge involving residency at Seoul Bio Hub, that entails the entitlement to rent an office suite at Seoul Bio Hub, of which the size of suites starts from 24m2. From the KRW 150 million grant, each winner will receive a KRW 70 million cash award and a KRW 5 million free space voucher which must be used toward the rent and utilities at the Seoul Bio Hub for a year. Q: For prizes involving residency, are there any expenses not covered by Seoul Bio Hub? A: Each winner will be responsible for its monthly rent and utilities. Each winner will receive a voucher to be used to cover one year of rent and utilities at Seoul Bio Hub. Please contact Seoul Bio Hub ([email protected]) for more information on rental cost. Q: Will JLABS or Seoul Bio Hub pay for my living costs, relocation or visas? A: No, any additional fees and paperwork are up to the winner. A: You can setup an account at http:// jnjawards.fluidreview.com. You are able to save your work and log back in to finish at a later time if needed. Seoul Bio Hub, located in northern Seoul and began operations in October 2017, is a life science innovation center sponsored by SMG and operated by KHIDI. The key function is to support early stage life science companies’ growth and commercialization by providing full-service wet laboratory and office spaces, shared equipment, networking events, training programs, and investor relation opportunities. As the only biotech startup platform located in Seoul, it leverages its geographical advantages to accelerate the startup ecosystem, by facilitating cooperative networks among research-driven hospitals, universities, national research institutes, and venture capitals within close vicinity. For more information, please visit http://www.seoulbiohub.kr.